Limited space available – REGISTER NOW! This course is emphasizes understanding the need for and function of an air barrier assembly, the ability to inspect installation and review materials for compliance with specifications, ABAA requirements, and manufacturer requirements, the ability to confirm proper installation through on-site testing and the documentation required throughout the air barrier installation process. 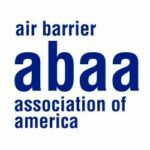 Interested in performing ABAA project audits? The role of the Field Auditor is to perform quality assurance audits of air barrier assemblies on new commercial and institutional construction projects during installation. Complete audit reports, document audits with photos, and address specific areas which have noted deficiencies and require corrective action(s). Please submit CV/resume to abaa@airbarrier.org for review (“Attention Quality Assurance Department” in subject line). ABAA cannot guarantee any minimum amount of work a field auditor will receive and, as such, all potential candidates should view this work as a supplemental source of income. DEADLINE TO REGISTER IS: February 14th, 2019 at 12:00 PM CDT. Attendees are responsible for travel and hotel costs.